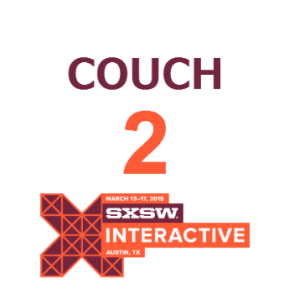 Last week, SXSW released the 600+ sessions for their 2015 interactive conference. While many refer to announcement day as “Geek Christmas”, a conference that big is really more like a beer festival. You can’t hope to see every interesting session any more than you can drink every beer at the festival. As much as you may want to, it’s physically impossible! So how do you get the most out of such a huge conference? One of my teammates, Jen Talbot, recently attended Dreamforce in San Francisco. With 1,400 sessions, Dreamforce is a behemoth. Jen shared some of her strategies for getting the most bang for her conference buck. 1. Make Excel your new best friend. While many conferences will let you configure your personal schedules online, and some even have mobile apps, you can’t beat the simple elegance of an Excel spreadsheet. When you put the sessions you’re interested in your own spreadsheet, you’ll have the ability to create and sort by your own custom fields, like relative locations, interest level, etc. 2. Think about place, not just time. Conferences like Dreamforce and SXSW are spread throughout their host cities. Unless you have a transporter, you won’t always be able to make it from point A to point B in time. Some days you may want to limit your sessions to a single area, while on other days you can plan to move between locations. Also, don’t forget to build in time for meals and restroom breaks. Remember – a conference is a marathon, not a sprint. 3. Create a healthy mix of cool and relevant. Don’t limit yourself to just sessions that directly speak to you and your company’s goals and challenges. Conferences also give you an opportunity to hear about what’s new and exciting and what’s going to happen that you haven’t even thought of yet. What are your best tips to navigate conferences? Do you plan everything out ahead of time or do you try to be more spontaneous? Want more? Subscribe now to get our top posts delivered to your inbox twice a month!